With 90’s rock officially becoming classic rock, it’s not surprising that artists of this generation are writing songs dedicated to the genre that inspired them. 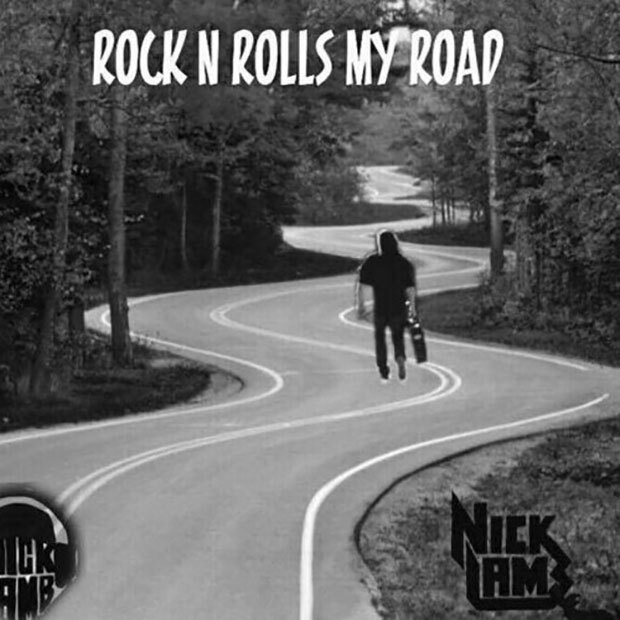 Hence, we have Nick Lamb’s Rock N Roll Is My Road, Lamb’s ode to the music that gave birth to alt, grunge, flannel shirts, and lots of great sounds. Name a major 90’s rock artist from the time and you hear their influence on this album. While this album was made in 2017, it has a lot of 90’s heart in it. Heavy guitar riffs with deep, angst ridden vocals is what makes this album come alive. “Getting’ High Off You” and “Simple Man” are the two standout tracks, but give a listen to “Rock N Roll Is My Road,” a really good, heavy guitar pounding track. In fact, give this entire album a listen to multiple times. That’s the best recommendation we can give to Rock N Roll Is My Road. Rob Perez is a freelance writer who has been with The Music Universe early on. As a Correspondent for The Music Universe, you will find him writing reviews and live tweeting awards shows.